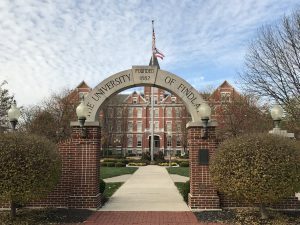 Founded in 1882, the University of Findlay has grown significantly in recent years. Today, with over 4,000 undergraduate and graduate students UF enrolls students in one of 54 undergraduate majors, ten master’s degree programs and three doctoral degree programs. Over the years, UF has developed signature programs in Equestrian riding (Western and English styles), Animal Science, Physical Therapy, Occupational Therapy, Diagnostic Science (various options), Physician Assistant Studies, Pharmacy, Children’s Book Illustration, and Environmental, Safety & Occupational Health Management. How’s that for a diverse set of professional academic offerings! Add to that over 100 student organizations, an active set of 24 NCAA Division II varsity sports (including two equestrian riding teams), Greek Life, and a beautiful campus and it all adds up to a “Must See” institution! The thing I have always enjoyed about Thanksgiving is that it offers an opportunity to disconnect, reflect, and spend some time with family. No presents…no obligatory commitments…oh, and the Cowboys always play on Thanksgiving day. All-in-all, many good things indeed. 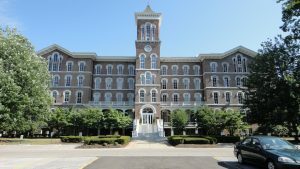 This Thanksgiving is unique in that College Bound Advantage is about to open for business following a six month building process that included visiting over 50 Ohio colleges and universities. We are already working with clients however, and my son Brandon and I are sensing the significant change that is about to occur as the way we spend our time shifts from building knowledge capital, organizing web sites, traveling, writing, and opening an office to working with clients. What a nice adventure this has been and now the fun really begins. To those of you who have discovered our blog, thanks for reading and….stay with us….next week we will adding the University of Findlay to our look at Ohio private colleges with particularly strong professional programs. In the mean time, enjoy your family, get outside and have some fun, and try to avoid the stores. Like REI employees (remember, our website is organized around backpacking metaphors), we are choosing to OptOutside. In fact, I am giving everyone in the office Black Friday off – easy for me to say…it’s just Brandon and I. You’ll find us hiking at Highbanks Metro Park, at least until we get lost and have to be airlifted out. Best wishes and Happy Thanksgiving! 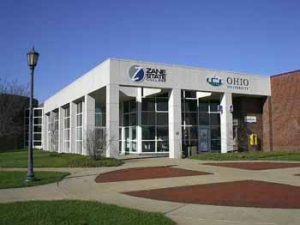 With less than 25% of the student body from Ohio, Case has become more of a national university than a local one. Similarly, with less than half of the student body in undergraduate programs, Case has also become more of a graduate school than an undergraduate one. 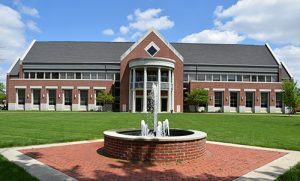 None-the-less, with around 5,000 undergraduate students and 82% of them living on campus, a vibrant Greek system, state-of-the-art facilities and a nationally ranked set of STEM and business programs, Case is one impressive institution. 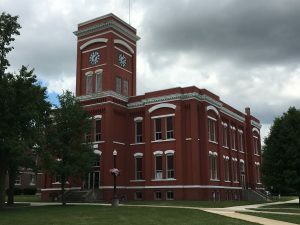 Particularly well respected for their Nursing and Engineering Programs as well as their schools of Law, Medicine, Dentistry, and Business, Case has some of the best professional programs in the state. 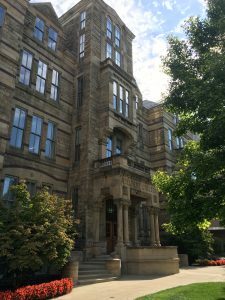 It hasn’t hurt that they have taken advantage of their University Circle location in Cleveland near many cultural, business, educational, and health care institutions in order to provide students clinical, internship, co-op, and research opportunities. Case has plenty to be proud of! The University of Dayton (UD) is a private Roman Catholic University located in Dayton. 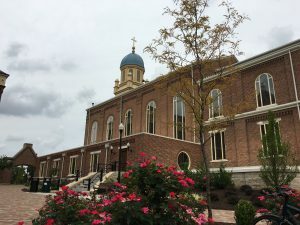 Founded in 1850 by Catholic Marianists, UD is the largest private university in Ohio. Located on 388 acres, UD has 8,000 undergraduate and 3,000 graduate students hailing from across the US and 40 countries. Academic programs are organized into the College of Arts and Sciences; School of Business Administration; School of Education and Health Sciences; and School of Engineering. As one might suspect, programs in engineering, business, education, and health sciences are all strong at UD. Outside of the classroom UD offers 240 student organizations, NCAA Division I athletics (Rudy Flyer is the mascot! ), a vibrant Greek system, and plenty of community outreach. With over 85% of students living on campus, many in unique small cottages, there is always plenty going on. The UD Research Institute attracts over $90 million in sponsored research each year, much of which is supported by student involvement. Professional preparation is important at UD as evidenced by 95% of graduates employed or in graduate school within 6 months of graduation. Since 1871, Ohio Northern University has been focused on integrating a strong foundation in the liberal arts with a commitment to developing “competent and employable practitioners.” Very few institutions in Ohio effectively combine small size, teaching focus, highly rated professional undergraduate and graduate programs, liberal arts core, and an active set of co-curricular options on a beautiful residential campus. ONU does! 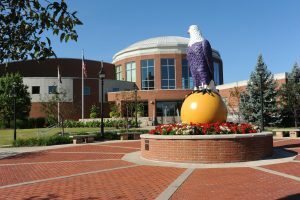 ONU is organized into five colleges (law, pharmacy, business, engineering, and arts & sciences). Their structure, dedicated college buildings, deans, and relevant accreditations reveal clearly their emphasis on, and commitment to, excellence in the development of competent professionals. Their liberal arts core is evidence of their “growing” creative, critical thinking, and ethical graduates. 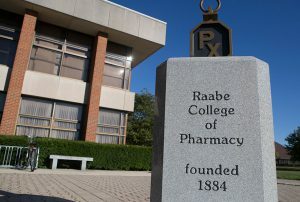 Committing early in their history to “practical education,” ONU side stepped the “liberal arts versus professional program” identity confusion that, at times, confounds so many of Ohio’s private institutions. With over 3,600 students, excellent academics, and a vibrant student life, ONU has a lot to offer. 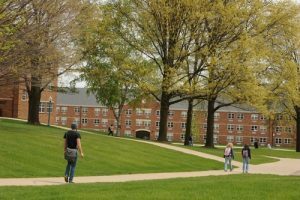 So, what has happened to all these small, Ohio liberal arts colleges that aren’t part of the “Big 5?” Well, the short answer is that they have, to different degrees and in different ways, migrated into adding professional programs…with varying results. 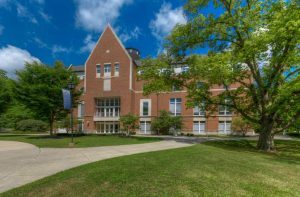 So, let’s first take a look at a small set of Ohio’s smaller, private colleges that have found a way to become professional program powerhouses while still maintaining a strong liberal arts core.